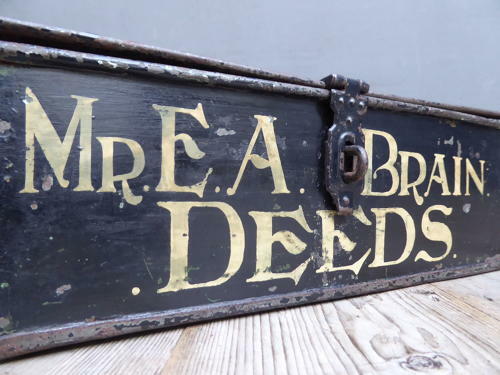 A wonderful small antique painted metal deed box. A super little box bursting with character, in it's original painted finish & with some beautiful period signwriting top the front panel. Wear commensurate with age, very good solid condition, some age related wear to the rear cormers of the lid though all solid. UK courier service available at £9 tracked & signed for 24 hour delivery.